I had the chance to enter into a “real” predator contest/hunt this weekend, with my partner Mike Collins. My work schedule and family obligations don’t provide me with very many opportunities to lace my boots up and tear up my tires for my own personal calling pleasure, but for this hunt, I have made an exception for the past 3 years. Mike and I have done pretty well over the past 3 years. We have killed a total of 17 coyotes and called in 33 on this hunt. Honestly, this is because of years of experience, scouting, hardwork and a little bit of luck. This year we only called in 7 coyotes, but considering I had to leave Mike in the field in order to coach my daughter’s youth basketball team Saturday, I felt okay with finishing 3rd out of 92 teams. I am horribly competitive when it comes to predator calling, so please forgive me if I sound arrogant. I try not too, but when you work your tail off you have a sense of pride when you see consistent positive results. Scouting and Hardwork is the ONLY way to increase your odds when predator hunting. Every time I go predator hunting I learn something new & leave with NEW questions to answer. This contest is a memorial hunt dedicated to one of the best predator hunters I have ever met. I am not going to post his name or the name of the contest because I don’t want some bleeding hearts to destroy this great event. 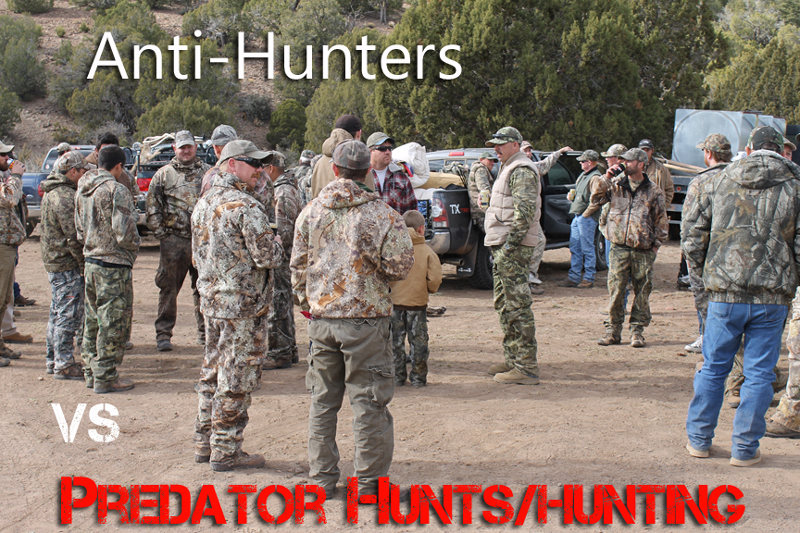 Anti-Hunters target Predator Hunts because they believe they can WIN this battle! As a human being, I find this behavior despicable and inexcusable! I cannot except this behavior or let my beliefs, which are based primarily on facts, go unexpressed. I wrote the below letter a few years ago, but eventually my emotions dissipated, so I did not publish it. From the puny mind of a predator hunter. Whether you like it or not, humans are predators and we compete directly with other predators. God, create us that way, so if you want to be a grass eater, you can, but don’t take it out on me. Does that mean hunters want to kill every animal or coyote on the planet? Heck no! But we realize that killing a coyote, can in the short-term increase the population of a prey species that hunters desire to hunt, eat, and eventually hang on the wall. It’s a pretty simple fact, humans are consumers and we are at the top of the food chain. Hunters are always made out to be the bad guy, but Hunters are the only reason wildlife exist, and will continue to exist. Hunters, such as Theodore Roosevelt, founded the first conservation efforts, as they recognized the value of wildlife. Hunters now contribute millions of dollars to wildlife, through the purchasing of hunting licenses, wildlife organization memberships, and taxes on our own equipment. A good majority of these funds are the ONLY revenues for state game & fish agencies, and these agencies tell us when, where, and what we can hunt, based on BIOLOGICAL fact. Another portion of this funding is spent on habitat improvements, such as, land purchases, water hauling, water developments, etc… This means, NO Taxes or minimal taxes on the General Public, because sportsmen pay for wildlife conservation and management. I suspect many Anti-hunters have never attended a ranch clean up, a water development project, or joined a true wildlife conservation group. Why not, you guys love wildlife don’t you? Why I hunt coyotes ! I hunt coyotes because I love to do it. Do I believe my hunting hurts their population? In the short-term, of course, that is the point! But, some studies show that coyote populations will increase over the long-term, if certain dominate coyotes are displaced (another reason why we must hunt them every year). What does this mean to the hunter? 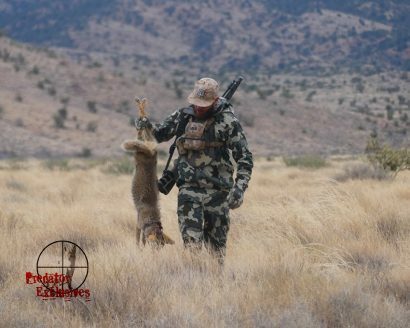 Well, it means, in the short-term predator hunting can help one fawn or calf get to its’ feet, and in the long run, the coyote population will also benefit and coyote hunters will be happy. 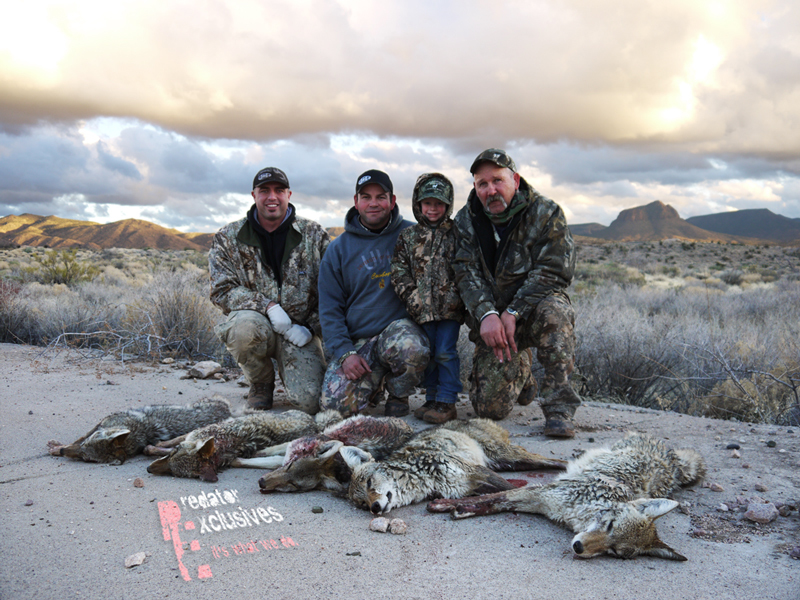 Yes, coyote hunters love coyotes, but we also love the animals we eat! I could honestly give you a million reasons why we should, and do hunt coyotes, but you are not going to listen and rationally absorb the facts. More than likely, you will continue to believe, you love animals more than me. You will continue to believe, animals are equal to our own children. You will continue to believe, animals have moral and ethical principles, like humans. You will continue to believe, I am a murder. You will continue to believe, the world is an animated Disney movie. I will continue to hunt coyotes and compete in predator hunts, because I believe in wildlife management, conservation, which is HUNTING. “Most people recognize that this is a cruel, random, indiscriminate contest for the purpose of promoting a business,” said opponent Elisabeth Dicharry. Dicharry and her husband, Guy, said they are animal lovers and are opposed to the unlimited killing. 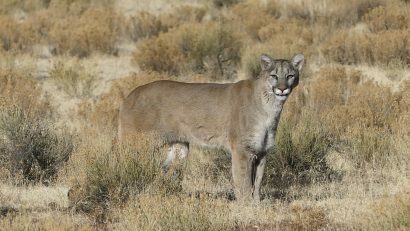 “We’re not opposed to hunting, we have lots of animals, we’re not opposed responsible gun ownership and we’re not opposed to predator control,” Guy Dicharry said. These guys are ignorant. They state they are NOT opposed to hunting, but they are opposed to to the unlimited killing. People, get a damn clue. Bag limits DO NOT change because a private business puts on a hunt. Again, predators are managed by the state wildlife agencies and they set the bag limits based on 21st century science. Also, coyotes don’t hold up a sign that says, “I want to be shot during the Predator Hunt”. What these people don’t like is the ideological principle of us CELEBRATING the killing of animals. Again, this isn’t science or factual, this is their ideological principle. We participate on predator hunts/contests because they are fun. You can recoup some of your OWN costs, via prizes, prize money & your furs. Most importantly, these contests most definitely help save fawns. lambs, & calves in the short-term, WITHOUT costing the General Public a DIME! In fact, they bring money to the local economies.